How much money is 50 Cent worth? 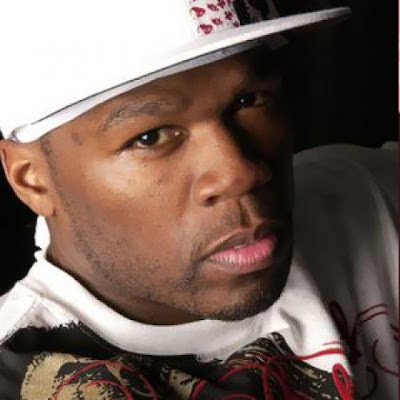 It was 2002 when Curtis James Jackson III, stage name 50 Cent, was uncovered and revealed to the world by fellow rapper Eminem and signed to Interscope Records. One short decade later and this American rapping giant has diversified his talents and made a number of key financial decisions. His tremendous commercial success has garnered the award winning rapper a whopping net worth in the neighborhood of $250 million. Born in South Jamaica, Queens, New York on July 6, 1975, 50 cent is a rapper, an entrepreneur, an author, he invests, has a record label and occasionally tries his hand at acting. Most famously he is known for his 2003 album 'Get Rich or Die Tryin' which went six times platinum and officially solidified his presence in the music industry. In addition to his debut album, he has released four other studio albums which have together sold over 21 million copies. 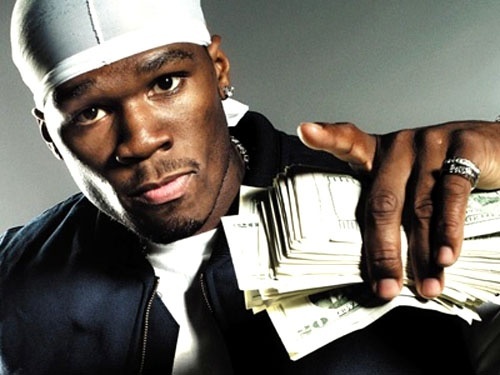 In the last six years 50 Cent has brought home an estimated $216 million in overall salary. One can only assume that with a net worth of about half that, life is pretty grand for the former drug dealing street kid who survived more than a few brushes with death. 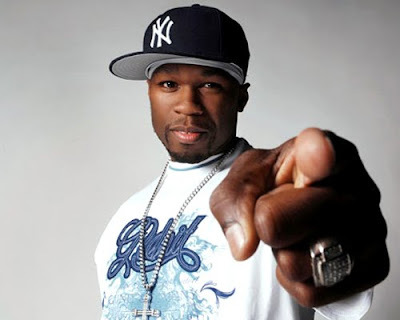 He has also endeavored a record label named G-Unit Records and a clothing line called G-Unit Clothing. In alliance with this, in 2003 he signed a five-year contract with Reebok to promote a G-Unit Sneaker. These before-mentioned endeavors have all proven to be highly beneficial in terms of generating cold hard cash. He has also partnered with Glacéau with the release of the vitamin water beverage Formula 50. This proved to be his single biggest investment to date, after Coca-Cola bought Glacéau for a cool $4.1 billion. As partial owner of the company, Mr. Cent stood to profit an estimated $100 million. Aside from endorsements, he profits from record sales, concert tickets, merchandising, an acting career which he is now pursuing whole-heatedly, and a pair of well received 50 cent themed video games (Bulletproof, Blood on the Sand). In 2000 50 Cent saw his life flash before his eyes, after spending 13 days in the hospital after being shot nine times, including a bullet to the face, outside a family members home. The incident was believed to be gang related. He writes about it in his autobiography, From Pieces to Weight: Once Upon a Time in Southside Queens. 0 Response to " 50 Cent Net Worth "